Happy New Year all. With festivities and a well earned rest now behind us I find it only right to now reflect on a really marvellous event that occurred in my AS Psychology classes during the last week of term in December. As it is roughly the half way point of the course and with an internal mock assessment looming when students get back in January the annual December Revision Showcase seemed well timed. I organise 2 each year for each class and there is no precise method of conducting the session. For my classes though it consisted of learners completing their revision notes and bringing them into the lesson; a type of show and tell. Learners would display their work in front of them on tables or posters on the wall. Learners were then given a few chocolates each and some pieces of paper. The activity involved learners moving around the class placing a chocolate on the work that they liked most as well as also leaving positive notes on pieces of paper as to why they liked the revision notes. Some learners and with permission, also took pictures of notes they liked. It also gave me a chance to go round with my mark book, talk to each learner and make notes about each learner and their revision strategies and progress. All this took place with music being played in the background (Christmas pop songs to be exact). This took approximately 40 minutes and culminated in a wider feedback session at the end whereby each learner would be asked to pick out at least one idea to try out based on what they have seen during the activity. (1) To encourage learners (and giving them a bit if a push) to get their revision notes completed nice and early so then they can revise directly from these and then focus on exam question practice. (2) Giving learners the opportunity to learn from each other. (3) Allowing learners to show off and showcase their work. (4) To provide the teacher with an idea of how the learner revises and allows the teacher to check progress with regards to revision and offer further advice. (5) If timed well, it can be effective in preparing for an upcoming mock exam and would allow the learner to determine if their revision notes are good enough. Changes in revision strategies can then be made in preparation for their next mock or ‘actual’ exam. 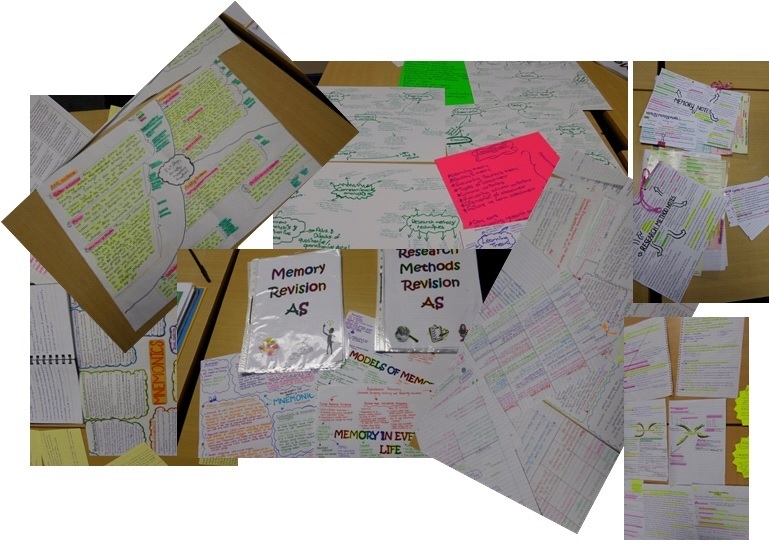 Revision Showcase; if you have yet to try it, just give it a go! !